Why does rejection hurt so much? Why do people reject one another? Yesterday I had someone I wanted to stay connected with unfriend me on Facebook and it was painful. Intellectually I recognize that this person did this to protect himself; he was afraid of how he might react to what I might say to him. He is or was a Muslim and had told me that his father was an abusive man, particularly to women and he did not want to be like his father. From what I have seen of this guy he has been taught to be very afraid of HIMSELF and his own reactions to what life offers. Simply put, he is hurting. If I get sunburn I avoid the sun. I am not really rejecting the sun (some could call me a sun worshipper); I am just avoiding the sun for a while until I can handle it better. I recognize that guy is avoiding me for now because he cannot handle me and what I might offer to him. He has low self esteem and just being around me shows him just how little he understands himself and how he has been conditioned to harm himself. This does not take away from the fact that I hurt. In my stupidity I blame this guy for my hurting thinking that “he caused my hurt.” That is stupid. He really did nothing more than disconnect from me in Facebook. It was my reaction to that that causes me to hurt. In my heart I am glad that he did what he had to do to take care of himself. Years ago I would have done the same thing for I, too, did not know how to love myself any better than to disconnect from others. In those days I was so ‘disconnected’ that my only dream was to avoid humanity at all cost, hopefully to live in the mountains in a small cabin far away from any others. Eventually I realized that what I was running from was myself, not others. Once I had learned how to love myself, to take care of myself and to stop my emotional (and physical) self abusive behavior, I no longer felt any need to get away from others. In fact, I really enjoy other people, the more diverse the better. People are so conditioned to abuse themselves emotionally with fear, guilt, shame, doubt and pessimism all of which can be stimulated by words naturally will run from any situation that might stimulate that abuse. Having compassion for them is the first step in healing ourselves so that we can help the others heal themselves. So when I am rejected don’t just remember that, I practice FEELING that compassion throughout my body, in every cell of my being. This is a meditation that ‘heals’ the pain. This meditation is what I just did to heal the pain I HAD from this friend’s rejection of me. As I did this compassion meditation I could feel my body relax around the thought of the guy. I could feel my appreciation for MYSELF and how I developed my ability to take care of myself. The Anterior Insula registers the unfairness or fairness of offers, and anger and disgust…thus is involved in the rejection complex. The judicial center of the brain…the Anterior Cingulate Cortex in the core of the brain between the hemispheres, is the principle area involved in self-rejection and being rejected by others. If we were not loved and appreciated as an infant, and if we were rejected by siblings, and/or parents, and school mates we tend to reject ourselves our of social engagement. Pre-emptive self-rejection is undertaken because social involvement stimulates a painful fear/warning response in the Anterior Cingulate Cortex and Anterior Insula. This anaesthetizes the brain giving us shallow affect and deadened social responses…such social reticence is not attractive and inviting for others. When we are under the dominion of the rejection complex our relationships and interactions do not promote social lubrication, trust, warmth and sense of safety…for we too are generally afraid of others, and fear breeds fear. The Goodifying Emeditation and other Inner Arts can be used to recharge, regrow and heal the social wiring of the brain, and heart. Understanding the REJECTION COMPLEX is the founding philosophical and spiritual work to transcending the false power paradigm. Jana, I wonder what you mean by “Goodifying Emeditation”? To me, that would mean we practice positive emotions in our meditation. Hi Jim, I develop inner arts for transformation. Those involved in false power engage in shaming and belittling statics to gain their dopamine reward from power abuse. Having grown up in presovereign families our brain is wired for shame AND to accept as our burden the moral shame of those who have abused us. Thus we must start at ground zero and Goodify the limbic structure of the brain so we can begin to inhabit our bodymind free of the stigmata of social power persecution. I do appreciate your sharing. I wonder if you are teaching classes anywhere to people who want to “Goodifying” themselves. Jana, you use terms that are not explained or commonly understood, which makes it difficult for people to understand you. Why don’t you try and simplify your language so as to make it available to normal people? Many people try to create an esoteric language to make themselves feel superior to or separate from others, that does not work in the long run. 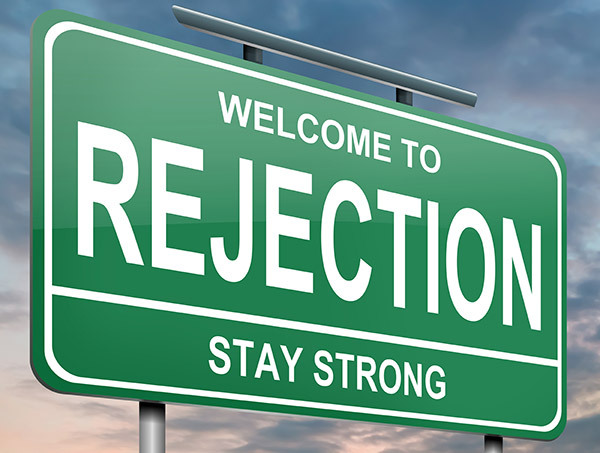 Rejection can be used as a power tool, that hurts. Is also depend on who is rejecting who, or if that person have any significant value in ones life or not. If the person is rejecting a person where there are no personal connection; than it is like water off a duck’s back. Should not affect you.